Embrace the vibrant Naples area dining scene and the fresh food culture of the Florida Gulf Coast at our 5 distinctive restaurants and bars. Get your day started with a Starbucks® coffee drink at Cool Beans. Watch the sun set at dinner on the screened porch, lakeside at Tarpon Bay. Sip artisan cocktails and enjoy live music in the bar on weekends, or enjoy a local craft beer outside by the fire. Savor coastal comfort food with an international twist in the tranquil atmosphere of Tanglewood. 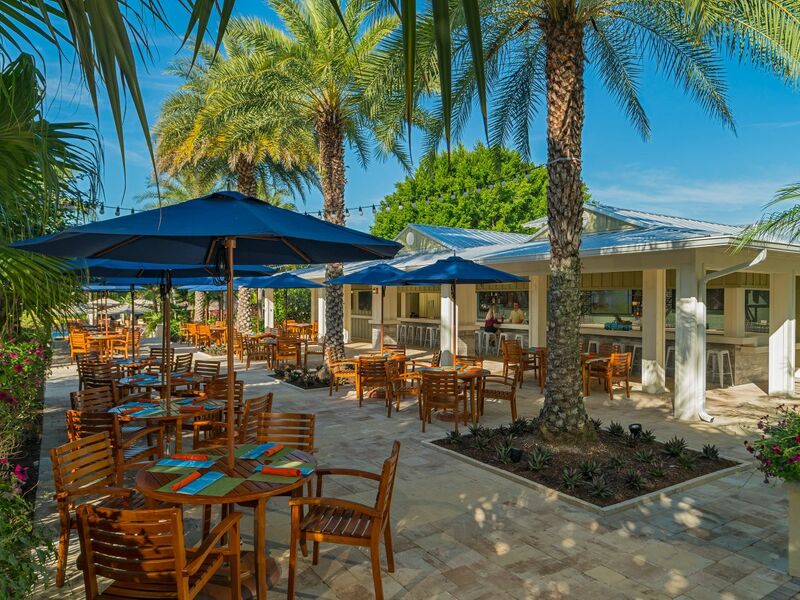 And soak up the sunshine during lunch with a frozen drink at Corkscrew Pool Bar & Grill. 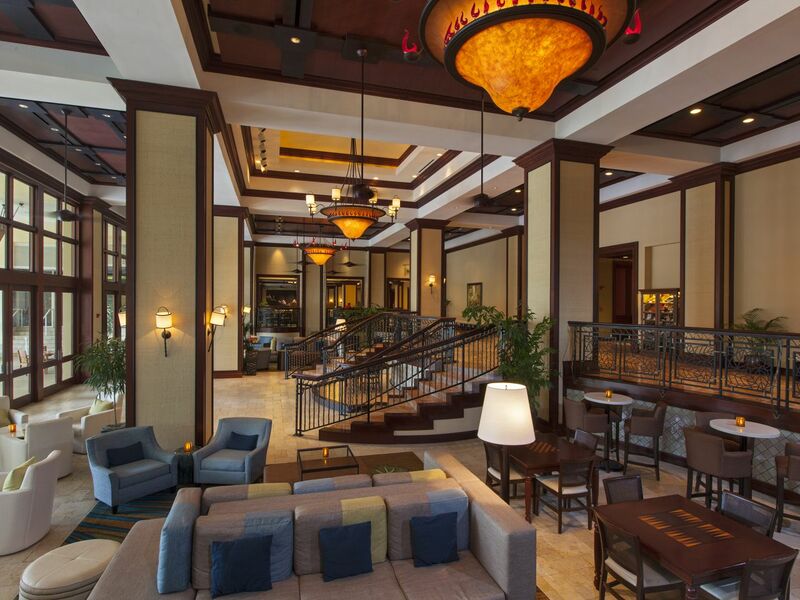 Savor Florida inspired comfort food with an international twist in the relaxed ambiance of Tanglewood. 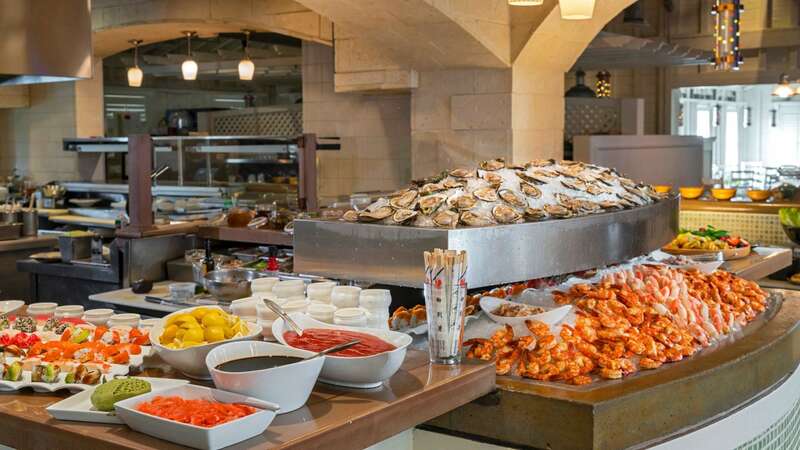 Enjoy innovative dishes with exotic flavors and local ingredients, from fresh seafood to artisan brick oven pizzas, paired with signature cocktails and wines by the glass. Start with our famous jumbo lump crab cakes and indulge in seared Florida grouper paired with a Floridian Martini. Wrought iron railings and lush, tropical gardens overlook the resort’s water feature to create an idyllic setting for breakfast, lunch and dinner. Enjoy gorgeous fountain and lake views from the screened porch of this Florida inspired seafood restaurant. Tarpon Bay has a beach cottage vibe, where colorful lanterns keep watch over each table. Our chef infuses the freshest seafood with innovative combinations of herbs and spices for an unforgettable meal. Find a seat at the bar for a drink, toss in some live music on Friday and Saturday night and you have the recipe for a memorable evening. Sip champagne and mimosas while you indulge in your choice of breakfast or lunch entrée from Chef’s menu plus a grand buffet of seafood, ceviche and sushi, farm-to-table fruits, eclectic Dessert Room. Sunday Champagne & Jazz Brunch: 10:30 a.m.-2:30 p.m. 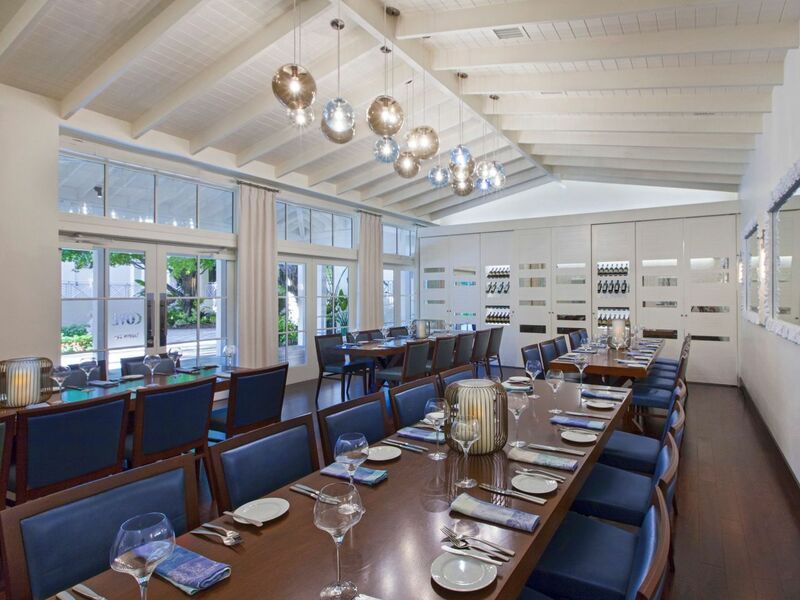 The Cove at Tarpon Bay is a private dining room and event space hosting important gatherings of all kinds. 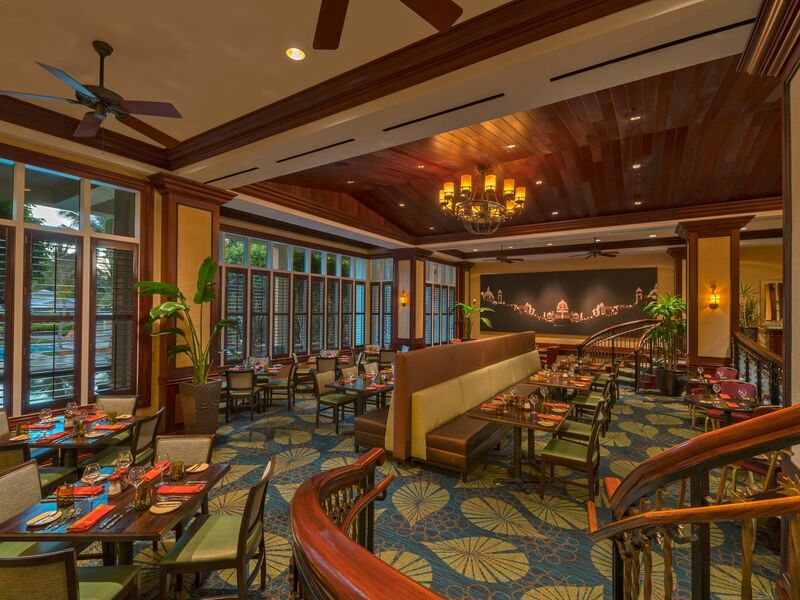 Overlooking Banyan Courtyard, this private room is an extension of Tarpon Bay Restaurant. An impressive and oversized display wall houses a flat screen monitor for presentations and converts to an internally illuminated wine bottle showcase. The Cove accommodates up to 40 seated guests. Find everything you need from Starbucks coffee and fresh bakery treats to garden salads and sandwiches for a quick bite on the go. 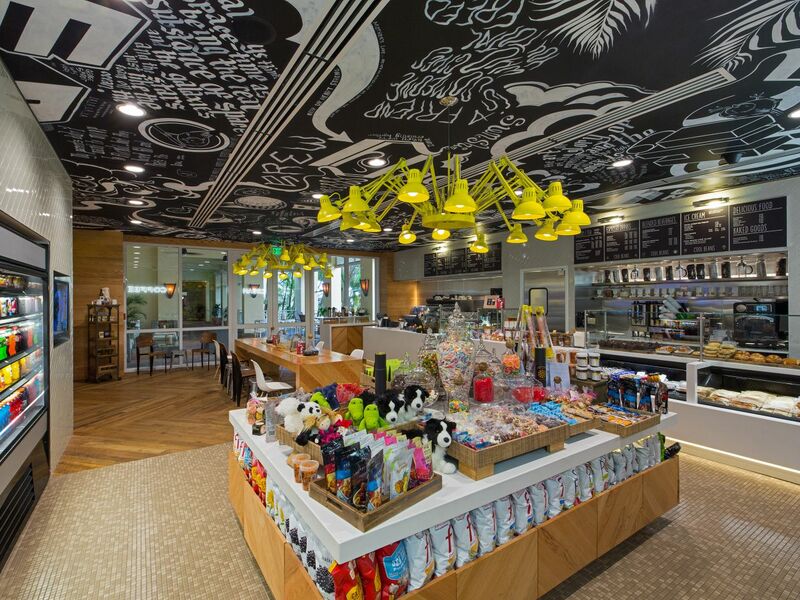 Cool Beans coffee bar offers a variety of items to make your visit more comfortable including cooler rentals for a day on the beach, games for the kids, and souvenirs to bring home. Everyone loves the giant chocolate chip cookies, locally-made ice cream and the old-fashioned candy shop display. Cool Beans also offers convenience items including bottled beverages, bagged snacks and sunscreen. Sunday–Thursday: 6:00 a.m. - 10:00 p.m.
With its casual, tropical atmosphere, Corkscrew is the place to be when you want to unwind. Relax while the kids play in the adventure pool with service provided right to your poolside chaise or grab some shade under one of the umbrella tables. We offer a full service cocktail bar with frozen tropical drinks, domestic and imported beers, and frozen tropical drinks, domestic, imported and local craft beers. Our lunch menu features burgers, wraps, hot and cold sandwiches, garden fresh salads, kid’s menu, fruit and soft drinks. Relax with a handcrafted cocktail and appetizer, watch sporting events or mingle with friends at Mangroves. Take a seat in the bar or on the patio. 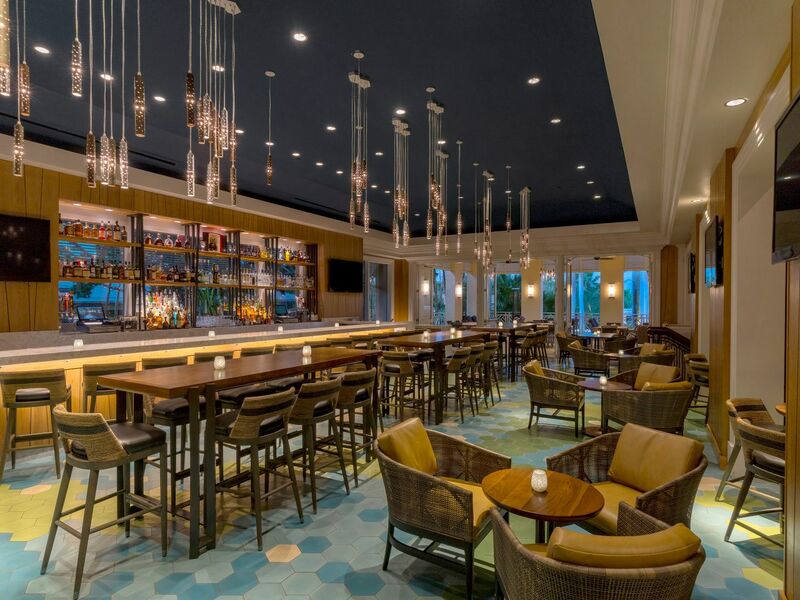 Located beyond the lobby, this full service bar offers weekday Happy Hour specials, mixologist cocktails, beer, wine, lite fare and cigars. Sunday–Thursday: 3:00 p.m. – 12:00 a.m.
Friday and Saturday: 3:00 p.m. - 2:00 a.m.
Lite Fare menu is served until midnight every day. Monday – Friday: 3:00 p.m. – 5:00 p.m. Challenge your family to a game of backgammon, chess or checkers, or just gather in this peaceful space to catch your breath after a busy day of exploration and order wine and cocktails. 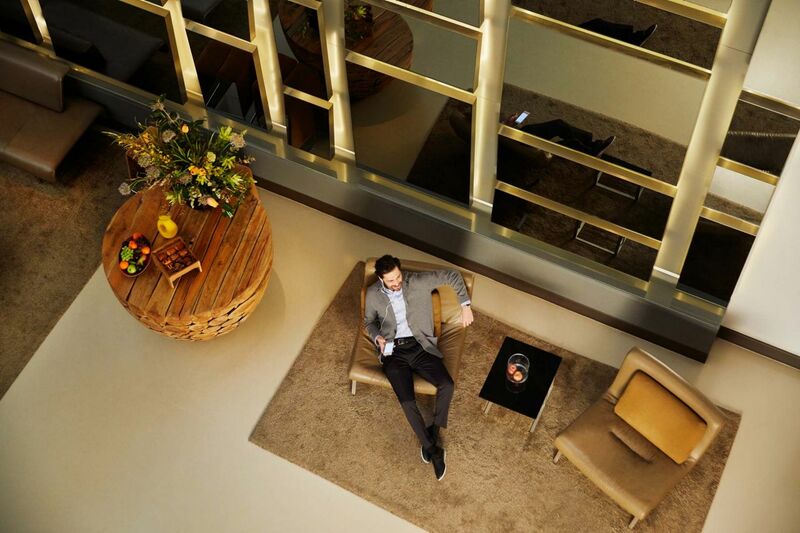 The handsomely appointed Belvedere Lounge offers overstuffed sofas and armchairs that are ideal for quiet reflection. Located just off the main lobby, the Belvedere Room is open 24 hours a day for a game of backgammon, chess, checkers and relaxation. Offering freshly prepared food available for pick up from Tanglewood Restaurant. All of our orders are packaged in eco-friendly disposable containers to provide a restaurant quality experience in the comfort of your guest room. All orders can also be delivered to the room.